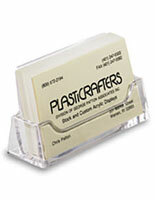 These clear 2-pocket business card holders are great for giving patrons and visitors easy access to contact info. 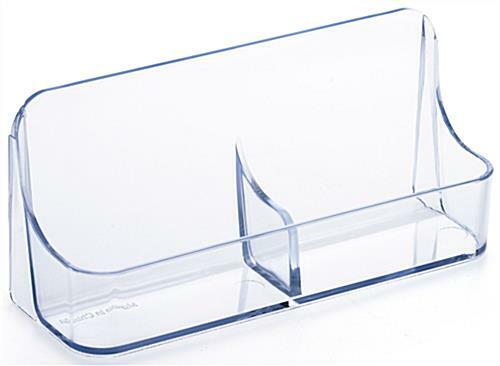 This type of countertop case an excellent choice for reception desks where their see through plastic design gives them high visibility. 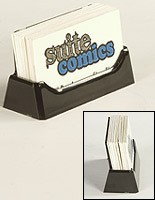 The 2-pocket business card holders are great for vertical paper designs with two portrait slots. 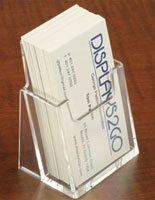 The plastic countertop cases allow users to show two different stacks of contact info side by side. 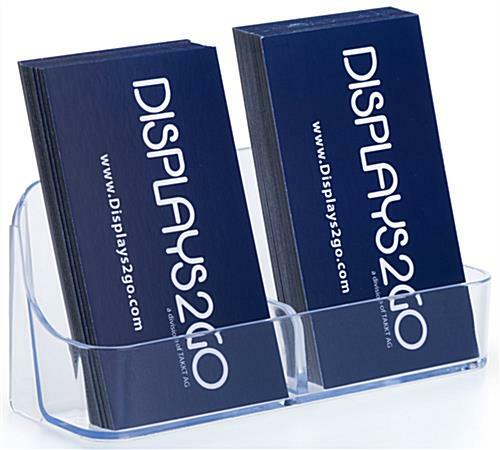 Each of the easy access business card holders has a small footprint for desks as well, measuring only 5" x 1.8". With their portable dimensions, these units can be brought to trade shows for promoting brands and companies. 5.0" x 2.3" x 1.8"